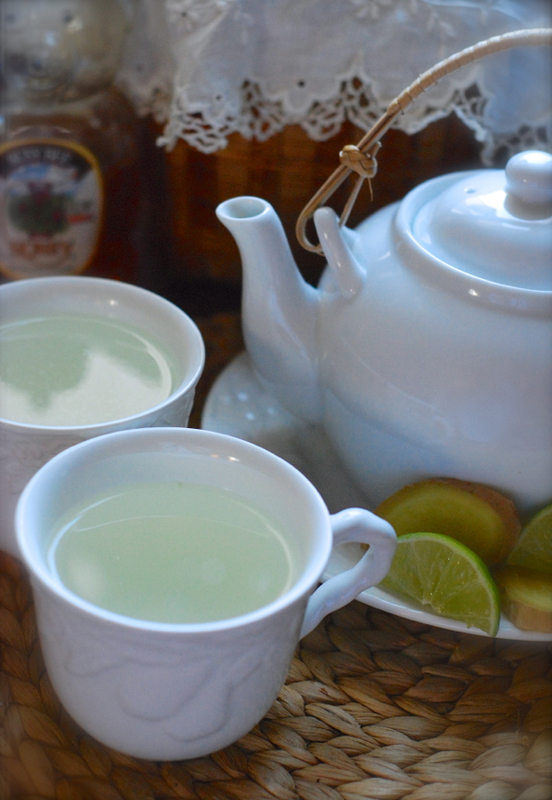 Here is a wonderful, natural drink that is not actually tea, but a ginger infusion. I know a lot of people who suffer from seasonal allergies, so I thought I’d pass this little recipe along. Ginger tea is a fantastic home remedy for indigestion, nausea, and to help cure colds, the flu and ailments associated with seasonal changes. It’s easy to make and can be enjoyed hot or iced. Bring the water to boil in a small saucepan. Place the ginger root in a small glass bowl. Pour the boiling water over. Allow to steep for 10 minutes. Strain the mixture into a large mug and combine with sugar, honey and lime juice. i saw something similar to this on veria network – what’s brewing was the show, but i missed the recipe. thank you cuz i know there will be a time to use this, and i always keep ginger on hand now! It’s good stuff to have on hand any time of year 🙂 Tastes good too! Sounds like something I should try! Do you buy your ginger or grow it yourself? I think u and I should go tea shopping. I could use your expertise! Can I leave out the sugar since your adding honey?